Homes in many parts of Melbourne may experience ground subsidence that leads to sunken building foundations. Sinking floors, a visibly widening crack in the wall, an uneven concrete driveway, and doors and windows that won’t close properly can all be warning signs of ground weakness under a structure. If a building becomes un-level due to subsidence, the effects are not just cosmetic. If left unaddressed, these symptoms can result in significant and expensive damage to the home and may also lead to safety issues for the occupants. When cracks and other structural changes present themselves, homeowners may look for solutions, including underpinning services and contractors, to effectively ‘underpin’ their home. Leaking pipes: over time, pipes under a property may deteriorate, become damaged or blocked, causing cracks which allow water to seep into the ground, both around and directly underneath the property. This is very common with clay pipes found in homes older than 20 years. Leaky gutters and downpipes, or dripping garden taps, are also frequently identified as the source of water collecting near house foundations. Inadequate drainage: managing the levels of moisture around the property is key for good foundation and footing maintenance. Soils with inadequate drainage will feel the effects of water collecting, particularly around the weight of structural supports, which can cause the ground to weaken and potentially trigger the home to subside or ‘sink’. Torrential rain: the volume of water that falls during heavy rain periods and storms can sometimes cause flash flooding. A sunken foundation and weak ground may be the outcome of an event where significant moisture has been rapidly introduced to the soil. Adjacent development: when building works take place next door, earthmoving and excavation for a pool, new home or extension can impact the stability of the soil on your side of the fence. This is even more problematic when coinciding with periods of heavy rain which soften the ground and may lead to soil erosion and voids. Equally, the clearing of trees associated with development can affect the water table as moisture is no longer drawn out of the soil by the tree’s roots. Tree roots: if pipes start to develop cracks or have loose joints, tree roots will naturally grow towards them in search for water. Eventually, aggressive root systems will penetrate pipes causing blockages that result in water spilling into the ground, impacting the stability of house foundations. Older constructions: some homes may have been built with insufficient ground preparation, resulting in poorly compacted soil before foundations were laid. Over time, the ground may no longer be strong enough to support the load above and sections of the home will show the visible impact of ground subsidence. 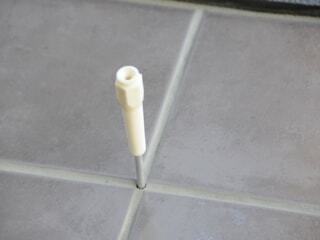 Mainmark offers some of the most advanced non-invasive resin injection and grout technologies to quickly correct foundation ground issues with minimal mess or disruption, perfected over more than 20 years in business. With a sound knowledge of Melbourne’s unique local conditions, Mainmark utilises its Teretek® engineered resin injection solution to effectively raise, re-level, and re-support footings under a home. Teretek is a unique two-in-one solution that provides both ground improvement and re-levels homes, backed by a 50 year product warranty. It increases ground bearing capacity, fills voids, rehabilitates foundation ground, which in turn raises sinking floors and reduces wall cracking, all at a fraction of the cost of traditional underpinning, and with no detrimental effects on the environment. Mainmark has successfully raised and re-levelled hundreds of homes and driveways throughout the Melbourne region. The process is extremely quick; most house levelling and concrete slab lifting takes less than a day, and driveways and slabs can be driven on within hours once the application is complete. the type and profile of the building footings – are the existing footings damaged or in need of replacement? 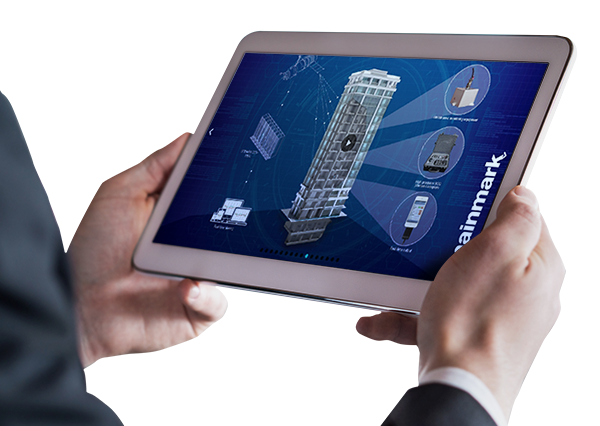 the time that the work will take – based on Mainmark’s extensive experience. Resident friendly – work is carried out with minimal disruption, in most cases you won’t even need to move out! Melbourne has a variety of soil types including black sands, reactive clays and silty soils which shrink and swell according to moisture levels. While seasonal changes occur, a mixture of high drought and heavy rainfall may cause ground subsidence, resulting in significant and visible shifts of the slab. Building movement may also be caused by other underlying or site specific issues which require a professional assessment and working knowledge of the local area. Many homes in Melbourne’s east are built on reactive, deep clay soils where movement is typically caused by changes in the moisture of the ground, including periods of drought, established trees drying out the soil, or old earthenware pipes cracking and leaking excessive moisture into the ground. These factors can all contribute to subsidence issues. Drain repair and drainage solutions may also form part of the soil improvement recommendations, before re-levelling the home. Areas affected by these conditions include Bayswater, Knoxfield, Boronia, Scoresby, Wantirna, Ferntree Gully, Rowville and Lysterfield. With homes often more than 80 years old in this part of Melbourne, it’s not uncommon to see symptoms such as cracking in brickwork and gaps starting to appear in between brickwork and the frames of windows and doors. These are indicators that the property may require resin injection underpinning, to effectively raise the foundation, re-level the home and stabilise the ground beneath the building. Areas commonly affected by these conditions include Hawthorn, Hawthorn East, Mont Albert, Balwyn, Surry Hills, Brighton, Flinders, Mount Eliza, Mornington, Malvern, Glen Iris, Camberwell, Canterbury, Caulfield, Carnegie and Kew. Built on marshy, sandy, silty soils on beachfronts or manmade rivers, this area is affected by weak soils that are prone to high settlement. Excess water from plumbing leaks can also contribute to soils washing out beneath the footings, potentially leading to house movement causing cracks. 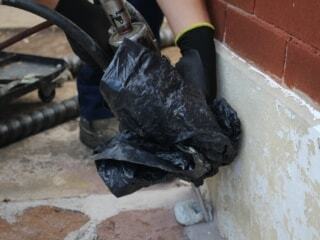 Additional Mainmark solutions are available to address sandy soil stabilisation before lifting the home using Teretek. Areas affected by these conditions include Carrum, Carrum Downs, Patterson Lakes, Seaford, Frankston. With homes often built on highly reactive clays, homeowners will see evidence of seasonal movement. Significant problems may occur following lengthy periods of extreme weather like droughts and floods. Many large native trees in these areas, with wide-spreading roots, can impact the water content of foundation soil, causing footings to shift. This is when re-levelling may be required, which can simultaneously treat the effects of subsidence, including brick wall crack repair. Suburbs affected include Croydon, Ringwood, Mooroolbark, Mitcham, Vermont. 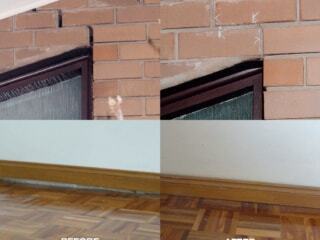 Fixing cracks in walls may not be the only issue affecting these inner-city dwellings. Older brick and stone foundation materials, such as bluestone, typically need special attention as they may become brittle and are therefore considered less suitable for treatment with traditional, invasive house underpinning and ‘slab jacking’ methods. Generally built before engineering codes were commonly used, these homes will experience footing movement and failure more easily. Large tree plantings alongside footpaths can also impact this densely populated area. Mainmark has completed hundreds of jobs in locations including Richmond, Collingwood, Abbotsford, Fitzroy and Carlton North. This area includes traditional blocks with many older single or double-storey homes, featuring old brick and stone foundations. With buildings constructed on silty clay soils overlying natural clay, further impacted by some sites being located on reclaimed land, footings can experience noticeable movement when soils react to tidal canal water and flood events. Often traditional concrete underpinning would be too invasive a process for remediation. Larger blocks may also be affected by moisture drawn from the mature plane trees in the surrounding area, which can have a significant impact on foundation soil stability. Areas to watch include Elwood, Middle Park, St Kilda, Albert Park, South Melbourne, Williamstown / Newport, Spotswood, Yarraville and Footscray and the wider Brimbank region.